Order a data source's displayed values, such as a grid or combo box, according to one or more parameters. 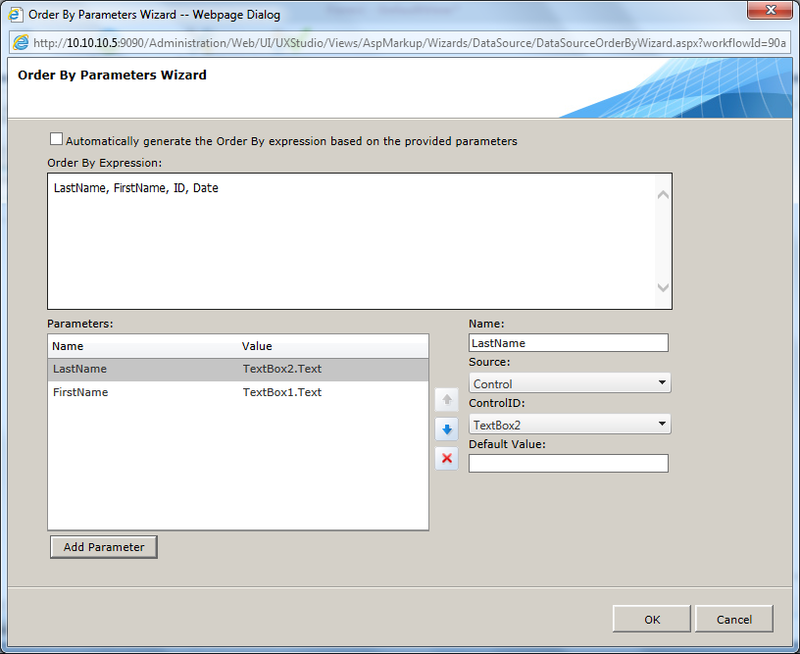 Open the data source's smartpane, and select Configure Order By Parameters. 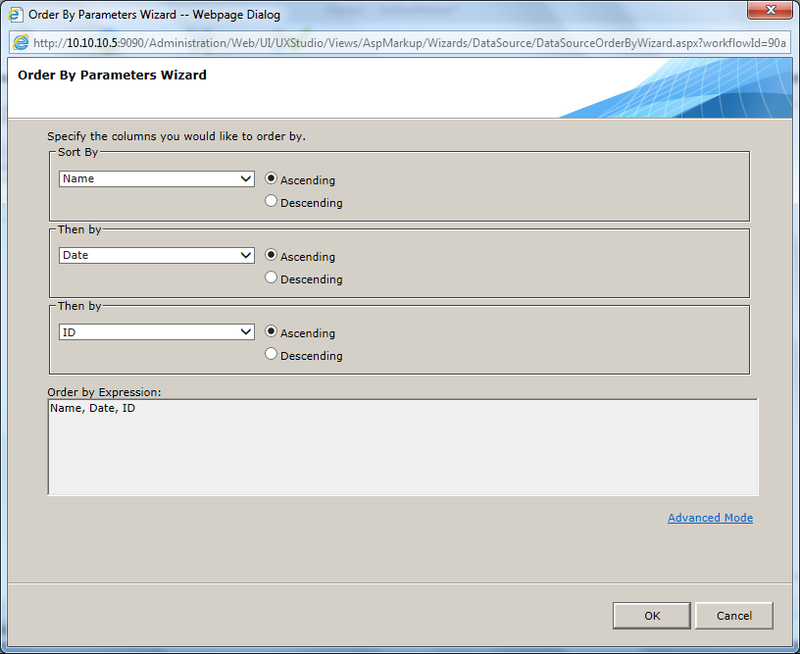 Select the parameters by which you want to sort the data source. (Optional) Click Advanced Mode to create an Order By expression with multiple parameters. Separate parameters with a comma. (Optional) Select Automatically generate the OrderBy... to automatically generate the Order By expression in the markup during runtime, based on the parameters you added. For more information about Order By parameters, see http://msdn.microsoft.com/en-us/library/system.web.ui.webcontrols.linqdatasourceselecteventargs.orderbyparameters.aspx.